My sophomore year was tough for me—both academically and emotionally. As the year went on, I found myself disconnected from the sense of adventure I’d developed in my childhood years. I wanted a more visceral learning experience—one where I could learn by doing. Investigating my options, I made a bet with myself: “Go as far away as possible, both physically and culturally; see if you can not only survive, but thrive there. I bet you can’t.” A short application, a few trips to the Mongolian consulate in DC, and two stuffed suitcases later, I found myself on a plane bound for Ulaanbaatar. If I had to choose one word to describe my experience in Mongolia, it would be “wild.” I had no time to be scared or shocked or sometimes even reflective. My first step was to become acquainted with Ulaanbaatar’s bustling, nameless streets. I mastered the UB bus system, found all the Internet cafes, attended expatriate poetry readings, and learned to argue in pretty decent Mongolian with the taxi drivers who wanted to overcharge me. Out on the steppe with nomadic herders or in small villages with local salespeople, I became immersed in a culture I had only read about in National Geographic. Exotic tasks quickly became familiar—things like keeping a herd of goats in one place, riding a horse through the tall steppe grasses, disinfecting sheep for foot-and-mouth disease, and putting up and taking down yurts (gers in Mongolia). Every new experience—whether eating horse meat or boiled goat innards; drinking fermented mare’s milk or cheap Mongolian vodka; seeing the smog ring over the city or the sun set over a mountain; feeling the best Mongolian cashmere or the old goat whose hair was shorn to make it—helped me acknowledge my inhibitions, then abandon them. I can’t begin to enumerate the lessons I learned. When I write to my Mongolian friends, I always sign, ” I miss Mongolia, but one day I will return!" 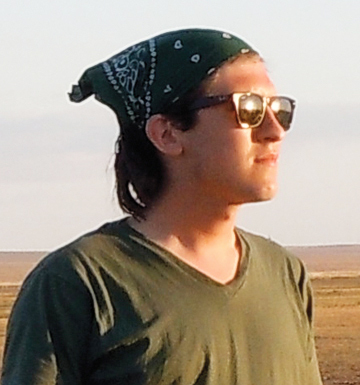 I have taken valuable lessons from my time in Mongolia that will help me survive some of the pressures of Swat. Bending over an honors seminar paper, it’s easy to see your whole world as a microcosm: Your perspective has a way of setting its parameters to exaggerated markers of success. That’s when I try to sit back and tell myself, “OK, Zack, get some real perspective: This can’t be harder than eating a bowl of boiled sheep’s head soup!” It works wonders for my work ethic. 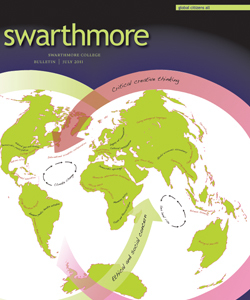 FACTOID: Swarthmore College students may participate in more than 200 study-abroad programs. About 40 percent of the student body spends a semester or full year abroad.